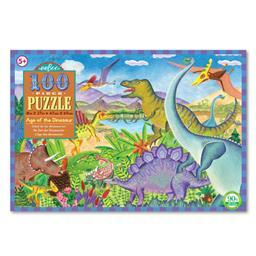 Illustrated by long-time eeBoo collaborator Holly Berry our new Age of the Dinosaur 100 Piece Puzzle features friendly dinosaurs living in harmony. Find your all favorite dinosaurs in this beautifully illustrated puzzle. A fun and easy way to be transported to another time.